Almost immediately after Instagram launched its IGTV long-form video format last week, 17-year-old Ariel Martin was already posting her first uploads, which consisted of her getting ready for prom night, attending prom and doing a lip sync to Taylor Swift’s Love Story. Meanwhile 17-year-old Katelyn Butcher was uploading a cover version of Oceans, the collaboration between Martin Garrix and Khalid. Martin (better known as Baby Ariel) and Butcher are among the self-made stars on the Musical.ly application. Martin has accumulated 27.7 million Musical.ly fans, and the lesser-known but rising Butcher has gained nearly 540,000 by posting lip syncs and livestreams on Musical.ly. Their quick embrace of IGTV demonstrates how IGTV could make Instagram a threat to Musical.ly in the war for digital natives. Musical.ly, launched in 2014, has skyrocketed in popularity among digital natives, largely by giving its members (Musers) a platform to create lip syncs and cover versions of popular songs and to host long-form livestreams where Musers interact with their followers like talk show hosts. The app reportedly has more than 200 million users and 60 million monthly users, most of them females aged 13 through 24. Essentially Musical.ly is a proving ground for digital natives as they shape their self-made brands. Popular Musers such as Martin and Butcher have used Musical.ly as a launching pad to build bigger brands across multiple platforms such as Instagram and YouTube. In 2017, Time named Martin one of the 25 most influential people on the Internet. She has landed branding collaborations with companies such as Nordstrom and Burger King. Musical.ly has attracted an audience that Facebook covets: youth. It’s no secret that Facebook is growing less popular among teens as they gravitate to apps such as Musical.ly and Snapchat that have a stronger hipness quotient. So, Facebook is making some moves of its own. Earlier this month, Facebook paved the way for the creation of the self-made musical content that is so popular with digital natives. The social network disclosed that it will no longer mute or remove copyrighted background music that is essential to the creation and posting of amateur lip syncs and covers. More important—and worrisome to Musical.ly—Facebook announced the launch of Lip Sync Live, which makes it possible for users to create lip syncs with special effects just as Musical.ly does. As Facebook noted, Lip Sync Live “lets you lip sync to songs from forever favorites like Welcome to the Jungle by Guns N Roses to new hits like Havana by Camila Cabello”—just like Musical.ly has been doing for the past few years. Here was Facebook reacting to a threat with a time-honored approach: Copying a feature and relying on Facebook’s scale and relationships with advertisers as an advantage. 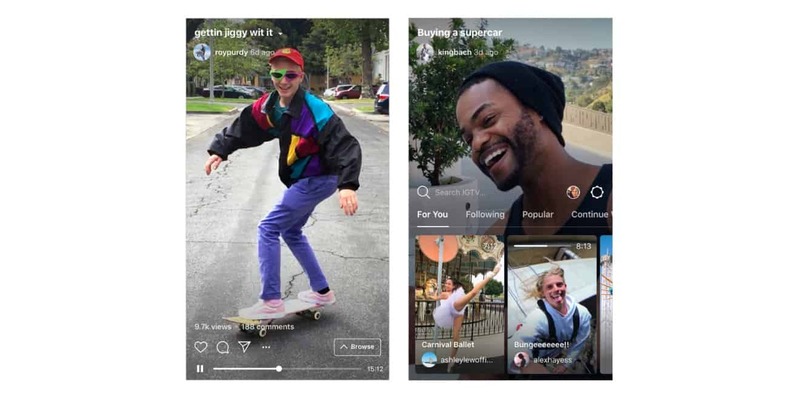 Within weeks, Facebook took another shot at Musical.ly with the launch of IGTV via Facebook-owned Instagram. With IGTV, Instagram members are no longer restricted to Instagram’s previous one-minute video format and instead can create videos as lengthy as an hour. In rolling out IGTV, Instagram CEO Kevin Systrom stressed the importance of making Instagram a better platform for creators, especially in a format dedicated to mobile. “We’ve reimagined what video is on mobile,” he said in a livestreamed announcement. He also told AP that he wants IGTV to be place where unknowns can become internet stars. So far, IGTV has been described as Facebook’s YouTube killer, which is an understandable reaction that may very well be true. But IGTV is also a threat to Musical.ly. Unlike Facebook, Instagram is more popular among digital natives, and according to Systrom, Instagram now has 1 billion monthly users, which means that it has been adding roughly 200 million users per year. And Instagram is attracting young users. IGTV positions Instagram as a platform for those users to create both livestreams and lip syncs as they do in Musical.ly. True, IGTV does not make it as easy to create lip syncs as Musical.ly does, and IGTV lacks livestreaming (users need to record videos first and upload them). But its limitations did not stop Martin from simply cross-posting her Taylor Swift lip sync from Musical.ly to IGTV, where the clip earned more than 126,000 views and 509 comments (and counting) among her 8.5 million Instagram followers. By contrast, the lip sync gained more than 215,000 views and 1,875 comments on Musical.ly—but her fan base is bigger and more established there. That her Taylor Swift lip sync has already made a big splash on IGTV with a smaller following is significant. More lip syncs and livestreams are coming. Based on Facebook’s track record of copying features from other platforms, I believe Facebook will integrate Lip Sync Live (or something like it) and livestreaming into IGTV so that users can host livestreams and create original lip syncs with branded stickers and other effects from within Instagram. Consider also how Facebook may inject augmented reality and virtual reality into these experiences. And based on Facebook’s blueprint, Instagram will monetize IGTV. Although IGTV is not an advertising platform, Systrom said that it’s a “reasonable place” for ads to appear—which means that advertising will come to IGTV. For self-made stars such as Martin, the branded content will include collaborations such as paid promotions featuring make-up tips. But first things first for Facebook and Instagram: Attract the digital natives. David Deal is founder of marketing consulting firm David J. Deal Consulting and he writes his own blog, Superhype.